It’s January and like almost everyone else, I’ve been thinking about the year ahead. All day the song 526,600 minutes from the musical Rent has been playing in my head. That’s a whole lot of minutes – a whole year’s worth to be exact. What a gift. And an awesome responsibility as well – to make the most of each and every one of those 526,600 minutes. Every January I like to take a walk down memory lane, review the previous year (the good and bad and the I can’t believe that really happened) and then set my my intention for the year ahead. I’ve given up making new years resolutions, but I do like to have a goal or two and a bit of a road map. I chose RISK as my guiding word for this year. As hubs and I continue to move deeper into uncharted waters, my willingness to embrace risk will be key to the success of our backpack and rollie retirement adventures. I’ve never been a big risk taker. It’s time. I’m going for it. 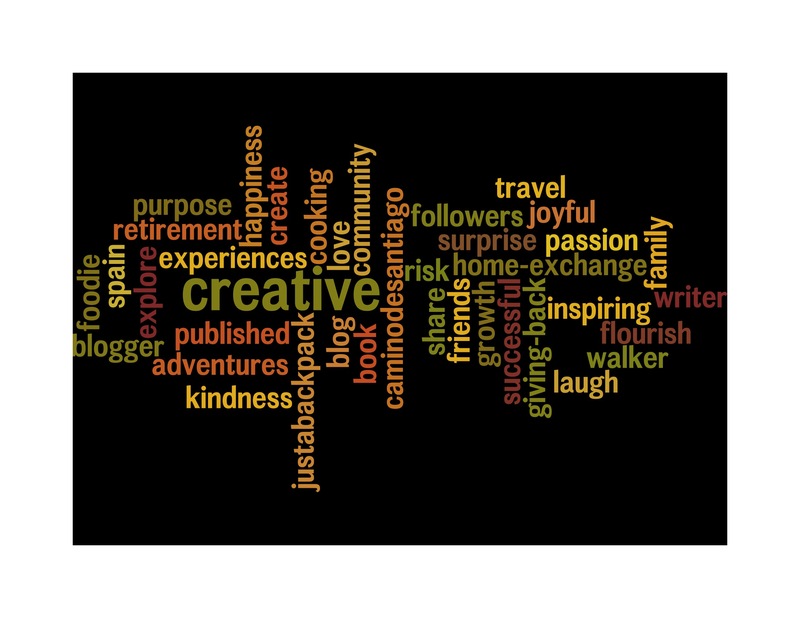 Here’s my 2013 Wordle. I know it will be a great visual reminder of where I want to keep my focus and intention as I move through the year. If you want to play with your own Wordle, check out their website. it’s easy and lots of fun.